There are always some dishes that sound so simple and common place, yet you never make it yourself. Gosthu is one such dish for me. I actually came to know about this only after my blogging days and especially the fact that this is served with Ven Pongal was a new thing for me. So after having known this for so many years, I always wonder why I never made it myself. Recently Amma was telling me that she has started making this for Pongal after reading her dairy. That dairy has been with us for so many years, with recipes that sound so delicious, especially when you imagine we wrote down during my college days. So Amma has been telling me how she has been making this and asked me to make it sometime. I realized this will make a wonderful dish for the Cooking for Cookbook Challenge. of November. We then decided to do this as part of November itself. huge box full of pongal. 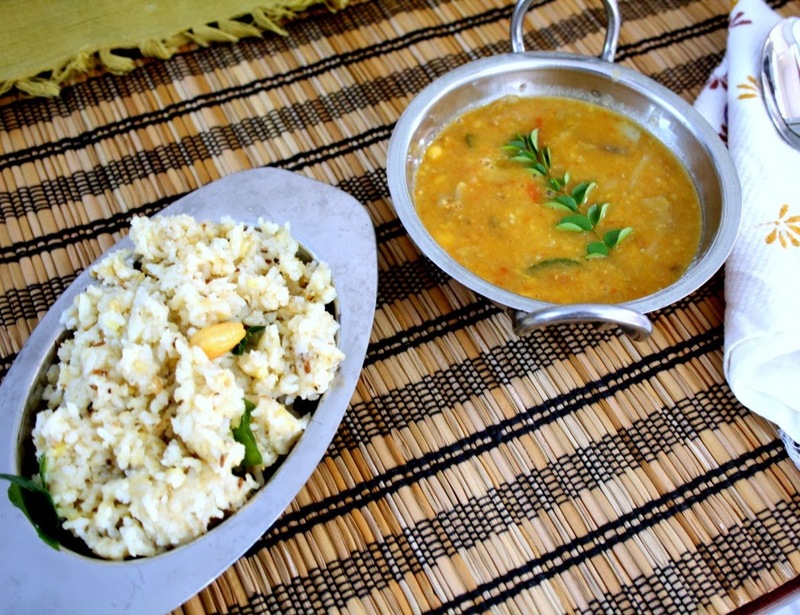 I make Ven pongal two ways, both are equally liked. 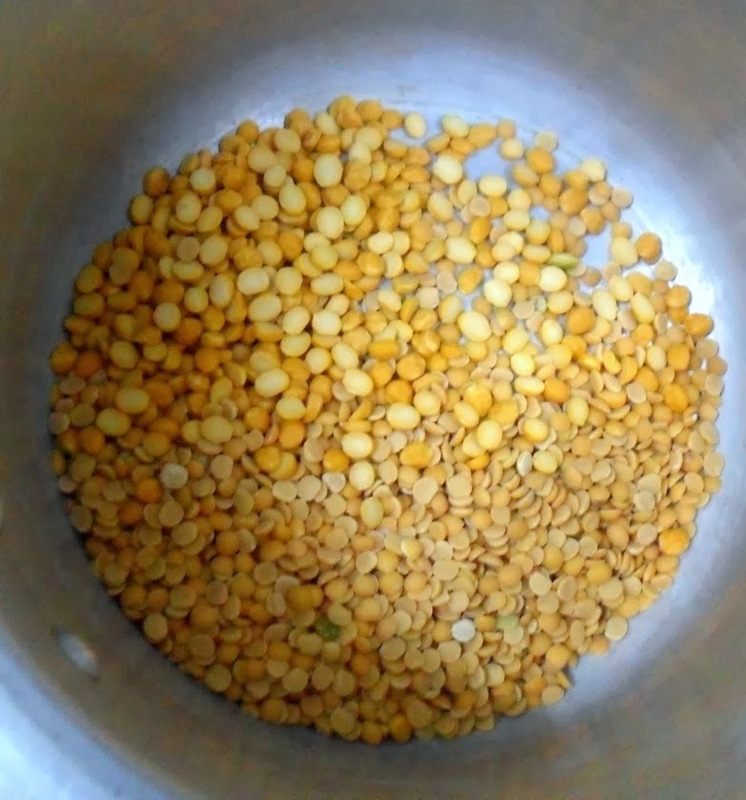 Wash the dals and take in a pressure cooker. 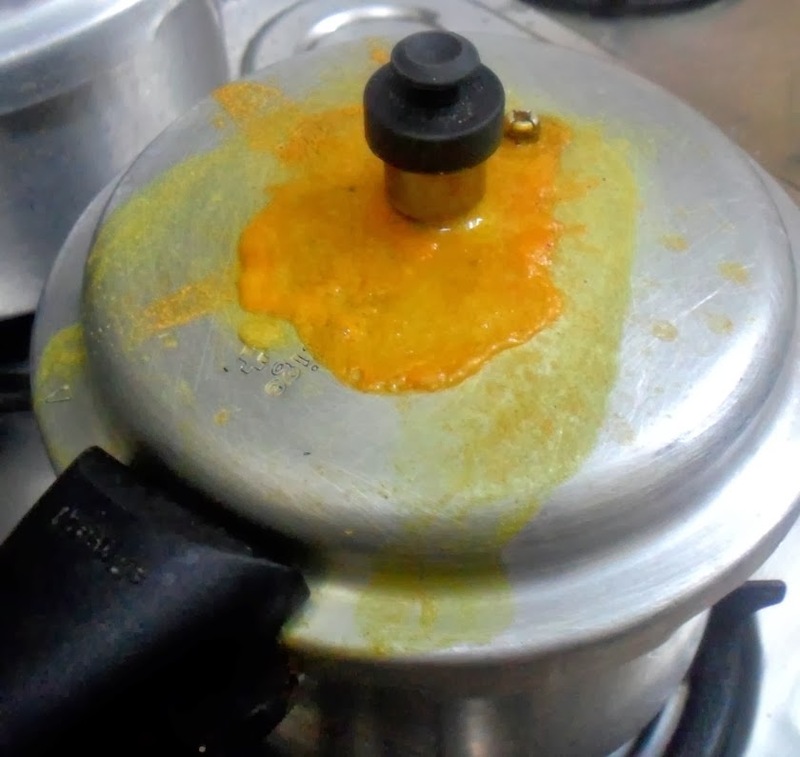 Add twice the amount of water and pressure cook till soft. 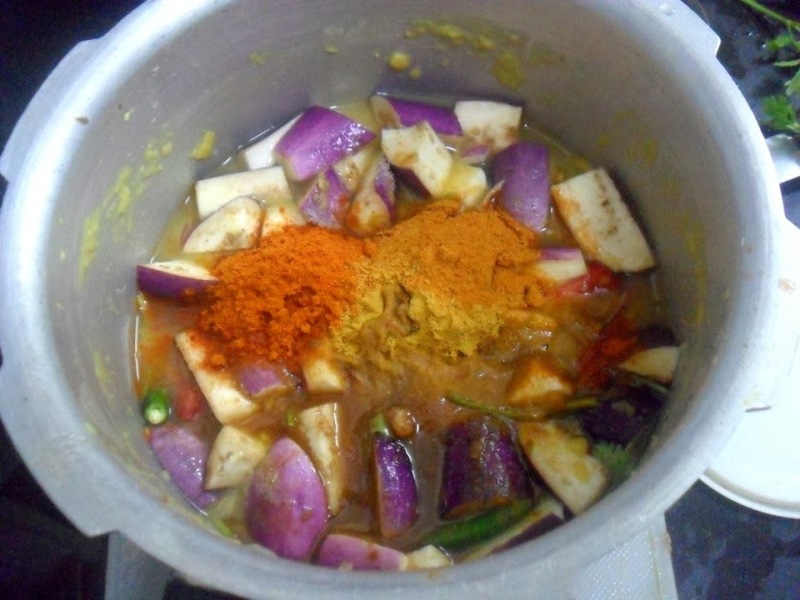 Once the pressure falls, remove and add chopped brinjals, half of onions, tamarind, chopped tomatoes, all spice powders, coriander leaves, green chilies. Add 1 cup water and cover with lid. Pressure cook for another 2 whistles. 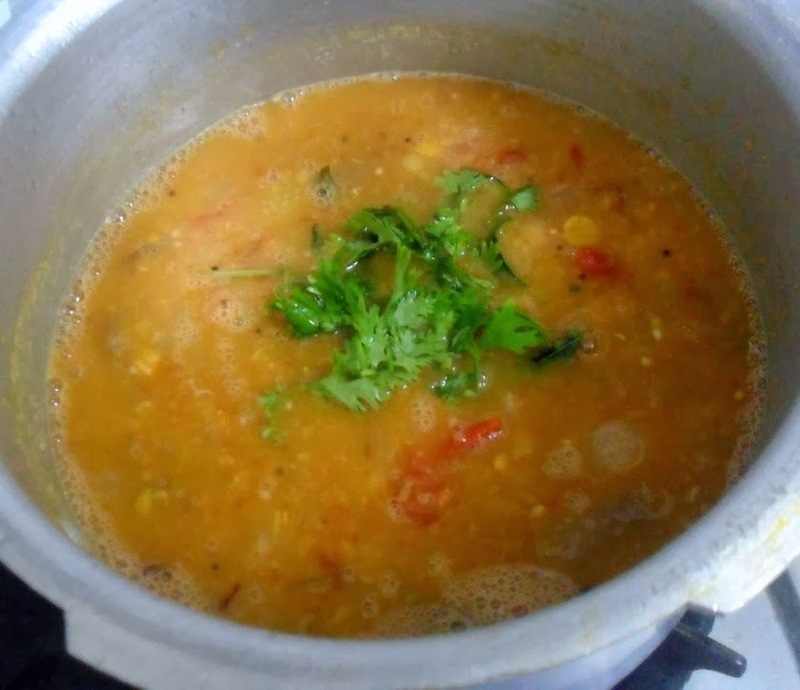 Wait for the pressure to fall and then do a tempering with the ingredients listed under tempering and pour the cooked dal and vegetables. 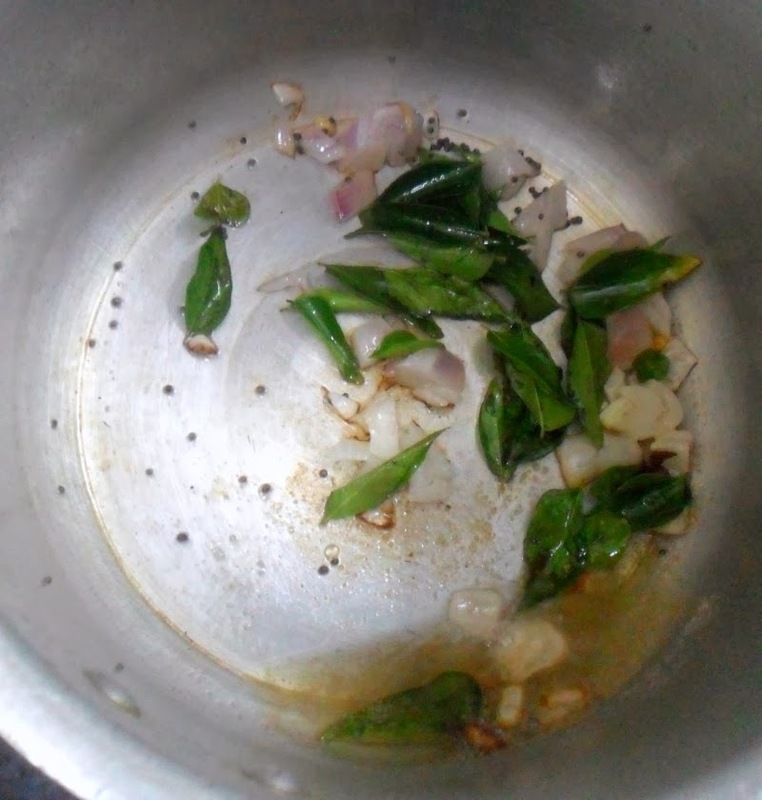 Bring to boil and simmer till the Gosthu is thick. Good one, Valli. 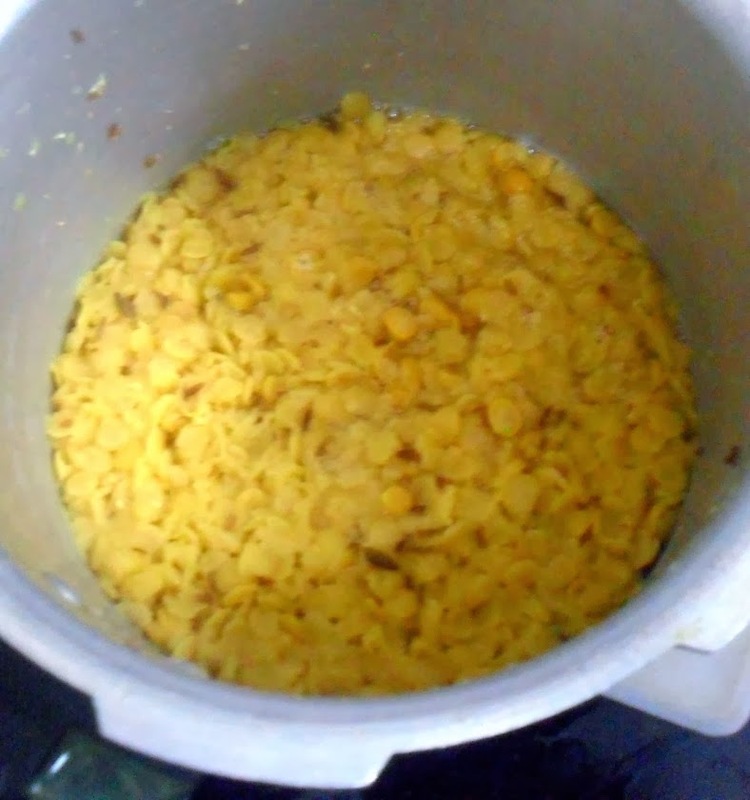 We also make Gotsu (or gojju as we call it ) for ven pongal! 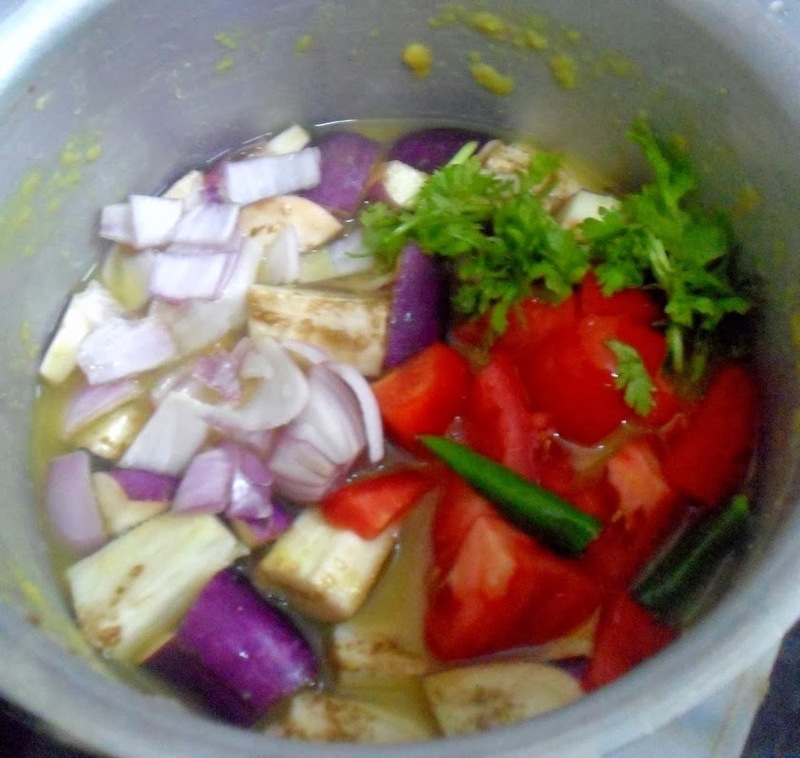 sounds perfect for lunch or tiffin, looks very healthy n tasty too…. Sounds very flavorful side dish . As I like brinjals I will definitely try this ! Delicious brinjal kotsu,perfect with Venpongal.We make it slightly different with freshly ground spices but this method seems to be easy. 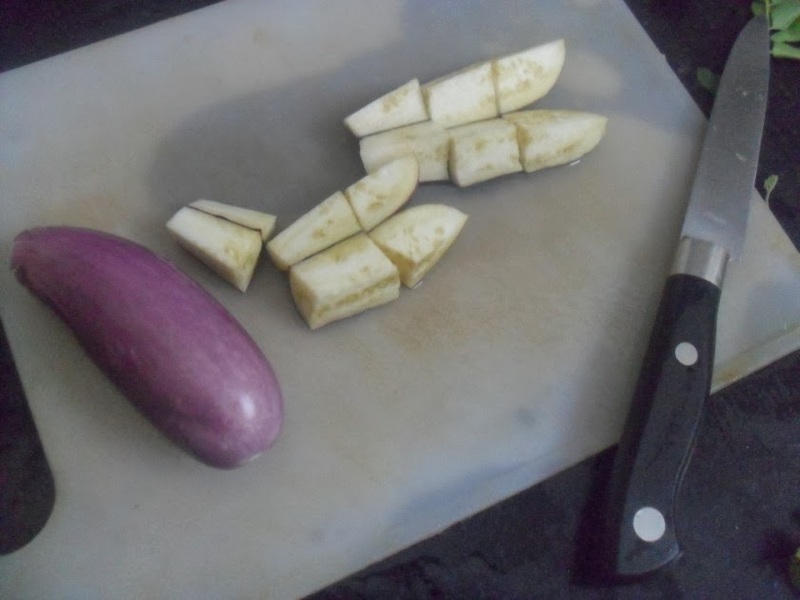 Brinjal has never been a common veggie at home. I am not the biggest fan. I should try this with pongal sometime. 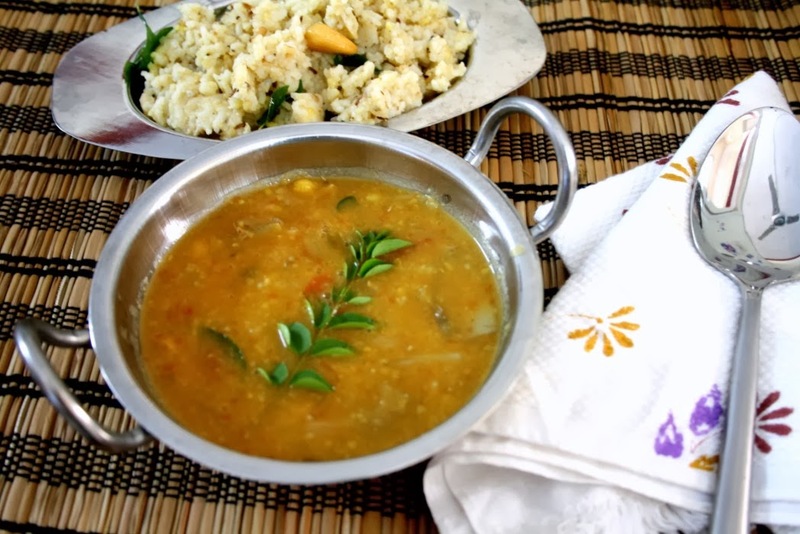 Love that venn pongal & gosthu combo — so filling & delicious. 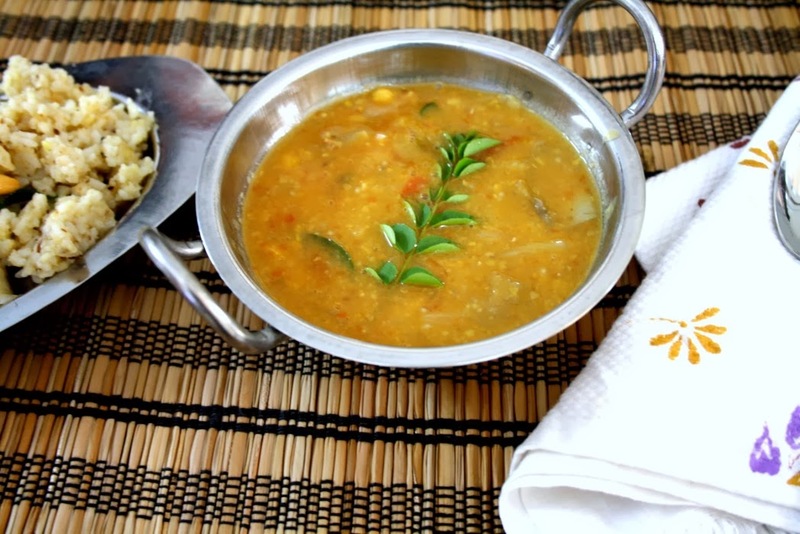 Venpongal and gosthu are match made in heaven. You are tempting me to make this combo now!!!! Baby Corn Masala Dosa ~ 101 Dosa Variety!